Cotton Linter Pulp & Bamboo Pulp-"TENBRO" bamboo fiber and bamboo yarn manufacturer: Shanghai Tenbro Bamboo Textile Co.,Ltd. The raw material of our bamboo pulp and wooden pulp is from Sichuan Province, selected bamboo with high alpha cellulose content, fiber slender and firm with good property, which through sulfate processing without dioxin, brightness ranges from 60% to 85%. We sell both in domestic market and overseas with good reputation among our customers. 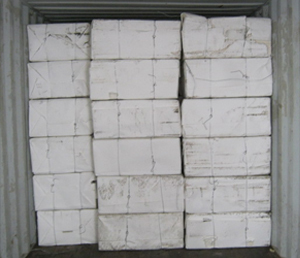 If you have any inquiry for our cotton linter pulp, bamboo pulp and wooden pulp, please not hesitate to contact us. To be used for production of currency paper and bond paper. To be used for production of filter papers for liquid food, beer, medicine and different filter paper for chemical analysis. To be used for production of carboxymethylcellulose(CMC), hydroxyethyl cellulose(HEC), hydroxypropyl cellulose(HPC), etc, and cellulose esters. To be used for production of high grade paper. To be used for the production of filament fire.